Las Vegas has come a long way since it was labelled Sin City but the essence of what they are offering remains the same. As a place with a reputation for ensuring that there is nothing they can’t get for you they have taken the darker meaning of this and turned it into a massive advantage. What to go up the (half size) Eiffel Tower without needing a passport or trip to Paris? Done. A shopping experience that has everything from bargains to designer brands? Done. A 24/7 experience that doesn’t just revolve around casinos? Food that ranges from fast food chains to gourmet dining experiences? A plethora of world-renowned shows, star residencies and even bands just playing on the street? Done, done, done. Realising that they were suffering from their own risqué reputation Las Vegas has rebuilt itself to house everything you could want to complement your desire to spend time gambling, or to simply spend time enjoying a decadent holiday with gambling optional. With everything based around the casinos and gambling Las Vegas realised that it was suffering from a reputation that made it an adults-only destination. Now the move, that started with the opening of the Freemont Street Experience in 1994, is to bring visitors outside of the casino environment and offer a myriad of ways to spend your money, not just one core way of losing it. This article by Larry Olmsted in Forbes provides some great insights into how this trend is progressing to attract more visitors than ever before. So what could banks learn from this? Well, I think we can all retell a less than perfect customer service banking experience and with the financial crisis and resulting nationalisation of some banks it’s safe to say that the reputation of banking is in some ways comparable to the old reputation of Las Vegas. Customers often see banking as a necessary evil; they don’t want to go back but really what choice do they have? On the other hand there is Las Vegas, serving up exactly what visitors want to bring them back time and time again and enjoy the experience of spending and winning big. One big difference is clear. In a attempt to save money banks are cost cutting and customers can see that in the service that they are getting. There are reductions in the number of physical banks on the high street and moves towards online and telephone banking as standard. Whilst this is being presented to us as time saving and convenient in reality it can just become even more frustrating when we need to contact a branch directly or make an appointment to see someone in person. On the other hand Vegas is spending big. Their reaction to dwindling visitor numbers is to build and build some more. They want to give people an experience that will bring them back time and time again and they know that the only way to do that is to invest in the future of their city. Rather than risk the problems a more conservative experience might bring with it they are building on what made them in the first place; being the one place where more is more. Clearly I’m not suggesting that banks go back to their high-rolling ways but a lack of focus on the future means that many banks can’t see how these cost cutting exercises are affecting them and their customers’ perception of them. This narrow viewpoint of their business model and the behaviour at the banks tells me that they are not focused on their entire strategy journey and moving through it as quickly as possible to learn and continuously innovate. I think it’s safe to say they are rather stuck in the past, when times were too good to need to consider changing. On a recent trip to Vegas I was struck by the ‘stickiness’ of the Vegas experience. There is a wonderful atmosphere to the place which, coupled with their focus on customer service, makes you want to return again and again. They are not pretending to be something that they are not. Despite all their attempts to bring families to Vegas there is no shying away from their core business: gambling. Everything that they build around the gambling experience adds to the glamour and I think there is a lot that other businesses, especially banks, could learn from that. They want their customers to feel that they can come back time and time again and still capture a little of the magic of the place each time. I was lucky enough to find a beginner table for blackjack at the Belaggio Casino where you get to experience that seat at the table while learning the rules as you play along, a bit like my usual prototyping experiences with building new technology. The psychology of blackjack and the Vegas gambling experience is all geared up to help you enjoy it. Offering lessons via these beginner tables is a great way to encourage you to take the plunge and go from bystander to a seat at the gambling table. As a newbie you are sitting at a table being taught the rules and the Vegas experience beginnings to sink in after a few rounds and with a bit of luck a few ‘blackjacks’ and winnings. As you play you are being offered drinks for free, sitting as others watch you gamble, centre stage in your own glittering real-life Vegas moment. Where in the banking experience are you ever going to feel like that? When they say that inspiration can come from the most unlikely of places I didn’t think I’d be suggesting that banks look to a place known for gambling to learn lessons to secure its future! However I think the key takeaway here is that these days wherever there are satisfied repeat customers there are lessons to be learned. 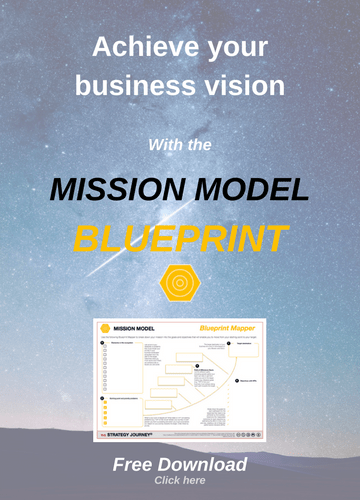 Vegas has learnt to navigate the strategy journey steps which is to truly understand its Mission and Vision (which is more than just money) to provide customers with a remarkable experience they won’t forget. This remains the focus and part of the value that Vegas provides using it business model and operating model. It is a show after all that can transform to fit the customer need at an instant. Vegas has taught itself how to bank on positive disruption to create positive customer experiences, and that is what the banks must also do. Whether its through strategic alliances with Fintech startups and/or investing in their own capabilities including the people within their walls to begin to think, act and create with an innovative mindset, banks need to move fast and like Vegas, begin to create many more positive customer experiences to navigate their strategy journeys. 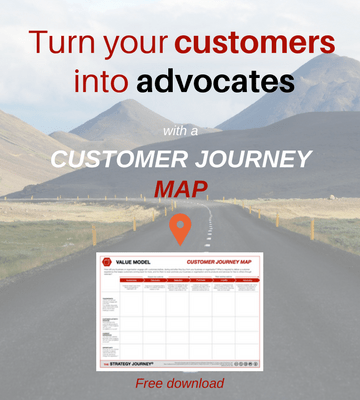 Want to build a powerful customer journey that will turn your customers into advocates who help you to get new leads and even sell for you? The customer journey map from THE STRATEGY JOURNEY book (coming in November 2018) was designed based on extensive research and testing on 1000s of companies. It available to download now. If you enjoyed this blog then subscribe to the newsletter below. You might be so awesome! I actually do not think I have got read something such as that before.